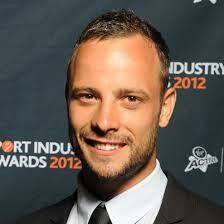 The news on 8 April 2014 regarding the Oscar Pistorius case is touching everyone; South African and others. It was the second day that the court could hear the testimony of Oscar Pistorius himself; and after a very difficult and emotional first day – which also had to be adjourned early because the Olympic and Paralympic athlete was not able to continue – the court was hoping for some progress. It would also be the first time that the court would hear from Oscar Pistorius what happened the night that he shot Reeva Steenkamp. Oscar Pistorius tells the court that he and Ms Steenkamp had gone up to bed early on the 13 February 2013. He had locked the bedroom door, and placed a baseball bat beside it like he always did. The alarms in the house weren’t working, because of renovations being done to the house. Mr Pistorius and Ms Steenkamp left the balcony door open as it was a hot that night and the air conditioning wasn’t working, also due to the renovations. That evening he slept on the left side of the bed; which was unusual for Mr Pistorius; but he said it was due to him having shoulder pains. Mr Pistorius also told the court that he and Reeva had chatted before he fell asleep with his head on her stomach. The defence also had Mr Pistorius read a few of Ms Steenkamps and his messages aloud; enough to cover more or less an hour and a half of the courts time. Presumably, the defence did this to strengthen Mr Pistorius’ character. Mr Pistorius read most of the messages quite calmly, but was overcome by emotions every now and again as he had been during the whole trial. Mr Pistorius even goes as far as to demonstrate to the court why he feels unsafe, by removing his prosthetics and showing the court how difficult it is for him to move without them. There was a general gasp from the court room as he showed his vulnerability. Mr Pistorius’ barrister also started addressing some of the charges against Mr Pistorius, starting with the 2nd, 3rd and 4th charges. The second charge was Mr Pistorius’ reckless firing of a firearm through the open sunroof of a car; there were two witnesses to this incident; Mr Pistorius denied that this incident ever happened. Charge 3 was Mr Pistorius firing a gun in a restaurant. Mr Pistorius claimed that he simply asked a friend to see his gun, thinking of buying a similar one for himself and didn’t think it was a dangerous one to handle. When it did go off accidently, Mr Pistorius’ friend said he would take the blame. Charge 4 was Mr Pistorius being in possession of illegal ammunition, which he explains to the court as being his father’s that he was simply storing for him. He pleads innocent on all these charges. What will happen in court next?